You may already be enjoying the new skating rink at Newport on the Levee, and it’s the tip of the iceberg when it comes to big plans for retail and other projects for Newport. At a recent meeting of the Newport Business Association, Larisa Sims, Newport's assistant city manager, outlined development plans. The projects can be divided roughly into two groups: those that improve access and enhance living in Newport and those that bring new retail business and shopping experiences. Taylor Southgate Bridge improvements – Designs are being finalized for pedestrian bridges to be built on each side of the Taylor Southgate Bridge. The 1.5 million dollar project will offer better access and connectivity between the Riverfront Commons Trail System and the city. Newport has received funding from the the OKI Regional Council of Governments and development support from Southbank Partners for the project. Carothers Road project – Phase II of the Carothers Road improvement project will break ground in the spring. Improvements will include better lighting, streetscaping and similar enhancements and will connect to Phase I near Krogers. The new phase will cost about 1.4 million dollars and will run from the turning lane all the way back up to Monmouth Street. It is also funded by an OKI grant. Monmouth Street projects – Streetscaping, sidewalk improvement, better access management and related improvements will enhance the south end of Monmouth Street in a stretch that goes all the way to the Southgate city boundary. Also funded by a grant, this project will cost about 4 million dollars. It is currently in the design stage and the hope is that work will begin next spring or summer. The second phase on Monmouth will improve pedestrian access and safety at the underpass near 11th Street. Sims described the current walkway as dangerous and scary. Improvements will make the area much safer and more enjoyable for pedestrians, but because of the extensive concrete work involved, it carries a heavy 4-million-dollar price tag. Thanks to another grant from OKI, work will move forward, but the project is not scheduled to start until 2020. Bernadette Watkins Park – In a deal with the city about five years ago, the original location of the park became the site of the Northern Kentucky Scholar House, a housing and education facility designed to help single mothers and their children. As part of the agreement, the city would reposition and rebuild the park, Sims explained. A site on 6th Street across from the Scholar House was selected, and now the property is ready for plantings and other improvements. 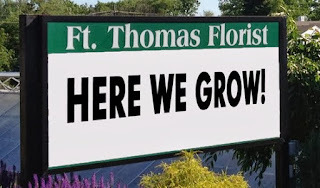 The city is seeking community volunteers to help with the planting. More personal mobility options – Sims also announced expansion of the Red Bike Program in the city to include a pilot program offering electronic bikes. New stations for the bikes will be added near Newport City Hall, the Newport Public Library and the Scholar House. Sims said the city is also at the very beginning of exploration and discussion with the company that provides the Bird scooters. 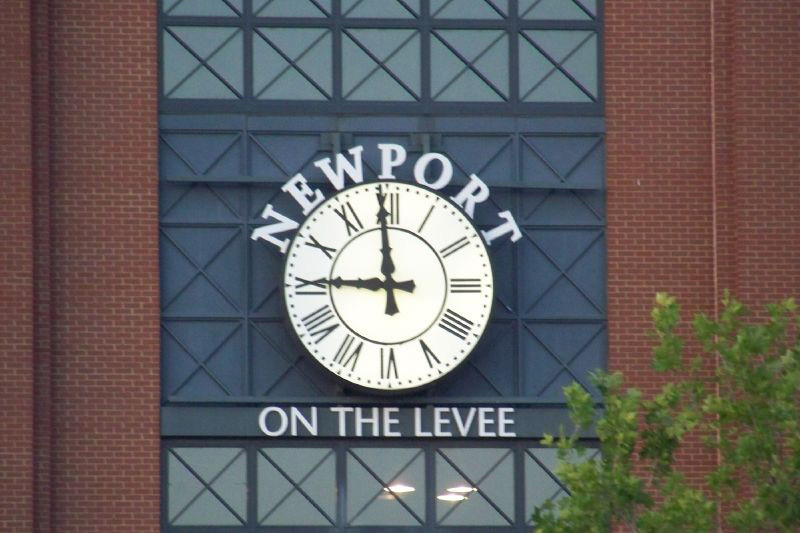 Newport on the Levee – The Skywheel® is coming to Newport on the Levee but it’s unclear exactly when it will be built. The project is moving forward behind the scenes according to Sims. All substantive approvals have been secured from the U.S. Army Corp of Engineers and other partners in the project. The lease document is in the works, and Sims says this is the final hoop. The Corps of Engineers is involved because of the close proximity to the levee itself. Plans for placement of the Skywheel® have changed with input by the engineers, and the new location for the platform will be in the events area of the complex. The wheel itself is constructed, so most of the project involves construction of the platform to support it. A ground breaking is anticipated for the spring, said Sims. Koch Development, which has several similar observation wheels across the country, has been dealing with other projects in North Carolina and Panama City that were impacted by hurricanes. If all goes well, it will be full speed ahead soon, she said. 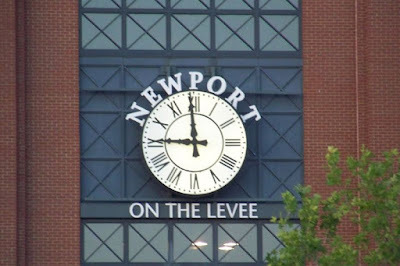 North American Properties, the new owners of Newport on the Levee, are in the planning stages for the development, and, while Sims says there are some exciting ideas, it’s too soon to share specific news. Yet, the community has caught a glimpse of what may be in store with the new skating rink and other enhanced holiday season projects. Newport Shopping – The Newport Shopping Center and Plaza complex also is under new ownership. Albanese Cormier Holdings has been aggressively looking for new tenants, said Sims. Crunch Fitness will be in the middle of the center and additional stores are coming including AC Moore Arts and Crafts, Urban Nails and the eagerly anticipated Smoothie King. Construction of the 1,700-square-foot Smoothie King building is projected to be completed in the spring of 2019, according to Smoothie King. The new Smoothie King location will be located on 82 Carothers Road, adjacent to Newport Plaza, owned by Albanese Cormier Holdings. Other Newport Plaza tenants include Fresh Thyme Market, Planet Fitness, Dollar Tree and Verizon. An important development for Newport, security company Defenders Direct, with the largest payroll in the area, will be expanding its space by about 5,000 square feet. Currently, this business provides the city with about $250,000 each year, said Sims. Additional businesses are expected across the street in Newport Plaza including the Burlington Coat Factory and Ross, a California-based discount clothing retail store. With more plans in the works, the owners are making a healthy investment in the buildings to make them tenant ready, said Sims. Ovation – After a long wait, things may be moving ahead for the mixed-use Ovation project under development by Corporex. First planned in 2006, the project was the first-ever state-level tax increment financing district or TIF project, said Sims. It stalled after the crash of 2008, she explained, but things are beginning to pick up. The complex is about 35 acres near the confluence of the Ohio and Licking rivers, and offers retail, residential and public space. The face of retail and the needs of the community have changed since the project was initiated, explained Sims. Project plans are being redefined although the mix will continue to include retail and housing options. The developer and city are working with the Army Corp of Engineers to minimize the impact on the levee nearby, but Sims said that the engineers are excited that the project has potential to showcase the levee. Phase one of the project is slated to begin in spring 2019. 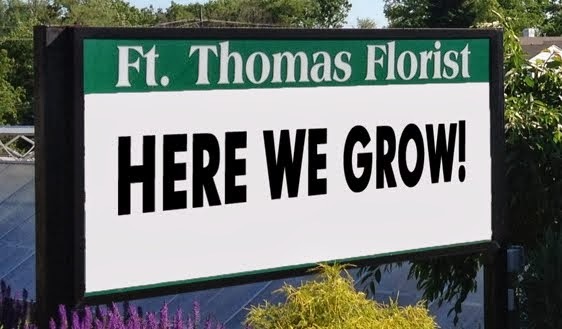 Many of the developments for Fort Thomas’s neighbor connect with and enhance plans for Riverfront Commons and regionwide developments in our area.